The ASP City of San Fernando Pampanga conducted an autism orientations in commemoration of World Autism Awareness Day. The event was the 7th in the series that Teacher Joy Ofrecia, ASP CSFP Chapter President, has been conducting since January 2014. As Teacher Joy arrives in her seminar venues, she observes people makingjokes and using the term "autistic" to describe some of their workmates with different or displeasing attitude. But as the seminar concludes, she would get comments like "kaya pala ganon sila", "di pala sila dapat tinatawag ng ganun", "pwede pala silang matuto" and so forth. These reveal that there is still much work to do to make the community aware of what autism. The Disability Perspective & Autism Orientation Seminar was conducted at the DENR R3 Conference Hall, Diosdado Macapagal Government Center, Maimpis, City of San Fernando Pampanga. Mrs Vilma V. Garcia Region III Planning Management Division Chief & Vice-Chair R3 GAD Focal Point System, a grandmother to a person with autism, spearheaded the seminar which was attended by DENR R3 Regional Director Francisco Milla, Jr. and 35 GAD focal persons from the different DENR Provincial Field offices. 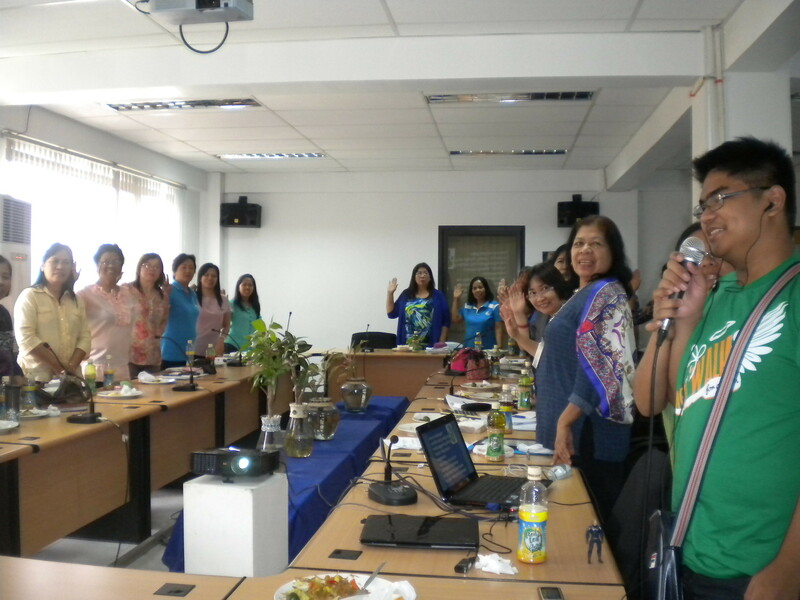 The said orientation served as part of the knowledge accumulation of the focal persons of the Gender and Development Focal Point System of DENR Region III. Learnings from this are expected to contribute in the implementation of GAD related programs. During the presentation on disability perspective, provision of a non-handicapping environment and the mandated 1% of employees in government offices should be PWDs were discussed. ASP's 1Pangako campaign video was shown and participants made their promise, lead by Juris Patrick N. Ofrecia. As the 14 behavioral manifestations of autism were being discussed, one mom in the audience began assessing the behavior checklist. She later shared during the open forum said that her son displayed seven of the fourteen and concluded that he might be on the spectrum. Interestingly, more participants came out to share that they too have a member in the family affected by autism. More agencies, companies and groups, public and private, to visit in the coming days. ASP CSFP Chapter is taking the road to reaching more people to make them understand and care for individuals with autism.